What is the Full form of CBSE? CBSE stands for Central Board of Secondary Education. It is one of the prominent education Boards in India. Almost all the prestigious schools in India are affiliated with CBSE. The board is also responsible for designing the school books and has given this duty to NCERT. CBSE is considered as the national education board in India. This article covers the aim, objective, history of the board and why it is one of the favorites amongst the parents. This national education board of India came into existence on July 1, 1962. The office bearers hold their meeting at the CBSE head Office in New Delhi. CBSE is an autonomous organization which falls fully under the control of the Government of India. CBSE holds a good reputation in India and has raised the standard of education in the country. With its phenomenal educational policies, the complete credit of education reformation goes to this national education board i.e. CBSE. All the Kendriya Vidyalaya, Jawahar Navodaya Vidyalas, private schools and other schools (apart from the state recognized boards) are affiliated by CBSE which are approved by the government of India. In order to execute the functions properly and effectively, the board has decentralized its administration. This helped in better execution of the functions and maintaining outstanding educational standards across the country. In order to be more responsive towards the education, the board has set up various offices across the country. Some regional offices are located in Chennai, Ajmer, Allahabad, Delhi, Chandigarh, and Guwahati. The headquarters in New Delhi constantly keeps in touch with all the regional centers and monitors them. CBSE has helped in achieving a centralized education system in India which is centrally controlled by one single body. All the students enrolled under CBSE are maintained with uniformity across all over India. All the colleges, be it professional or non-professional recognize the certificate issued by the central board of secondary education. A CBSE certificate is valid throughout the country. The education structure is such designed that the student can study as well as develop the skills at the same time. The curriculum is well designed as keeping the IQ of the students. The structure followed in designing the syllabus is compact which makes the CBSE syllabus stand at par with the other boards. The curriculum covers all the basic, general as well as skilled knowledge which will help a student to move forward in education. All the competitive exams such as AIEEE, JEE, and UPSC follow the CBSE syllabus. So, students studying in CBSE schools are at a higher edge as compared to students from the other board. Also, the website of CBSE provides free study material such as E-books for helping the financially unsound students. The board has been recognized worldwide as the education level in CBSE is so superior that students easily get admission in foreign universities. What are the various objectives of CBSE Board? The main objective of the Central Board of Secondary Education is prescribing the conditions of the examination in India and also conducting board examination for class 10 and class 12. CBSE will also issue qualifying DMC and certificate to all the qualifying and passed candidates of the affiliated schools. The entire syllabus for the curriculum is designed by CBSE along with instructions for the examination. Also, as CBSE schools are available everywhere across India, it helps in fulfilling the requirements of parents who have transferable jobs. CBSE aims to foster strong skills and abilities in students which will help them in a smooth transition from school to college. 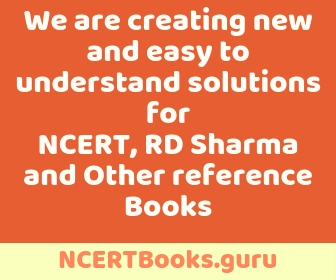 The board has given the responsibility of books publication to NCERT i.e. National Council of Education, Research and Training. The NCERT books are affordable and are as per the standards followed by CBSE. Another aim of CBSE is to affiliate the institutions for uplifting the standards of education in the country and for the purpose of examination. What are CBSE’s main areas of focus and concern? The main strategy behind CBSE is to devise a student-friendly pattern. CBSE keeps on introducing innovative learning methodologies in teaching and learning so as to boost the level of education amongst the students as well as teachers. The main focus of CBSE is making substantial improvements in examinations as well as the evaluation methods. It is done to deliver fast and fair results. Also, CBSE aims at skill learning of students by adding certain job-oriented inputs. Apart from students, CBSE conducts various training and workshops in order to update the teachers and the instructors. All in all, CBSE offers a great learning experience with a vision of the overall development of a student as well as of the teacher. The activities carried out in CBSE schools are well synced with extra-curricular activities which are designed to enhance the skill set of students.